The tenth 14 Days of Fortnite challenge has now gone live, and players can hop into the game and get to work on completing it and unlocking reward. 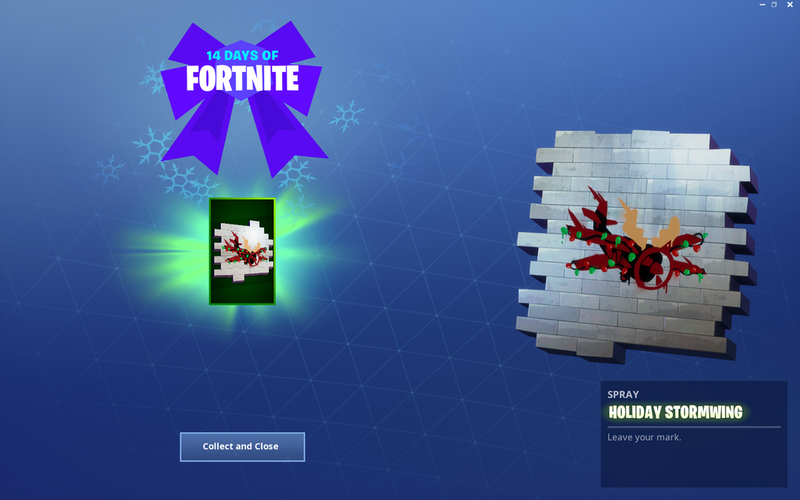 Day 9 saw players required to dance in front of one of the 13 Holiday trees dotted around the map to earn their reward, which was a special snow globe icon for their in-game banner. 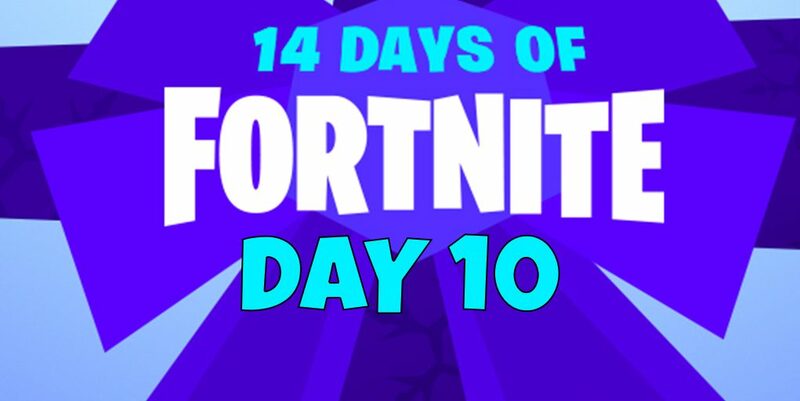 Day 10 requires players to get hold of a vehicle and perform tricks at 10 different named locations around the map to get the reward for Day 10. 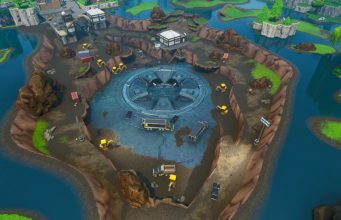 Named locations are areas on the Fortnite map that have been given a name by Epic Games and are mentioned by name on the actual map found inside the game, such as Frosty Flights, Pleasant Park or Dusty Divot. To perform the tricks, players will need to find a Quadcrasher, which can be found spawning around the Fortnite map. Once you have found one, drive to a named location and build a ramp, then drive the Quadcrasher up the ramp, use the vehicles booster to fly up into the air, then perform some spins or tricks and land safely on the ground. 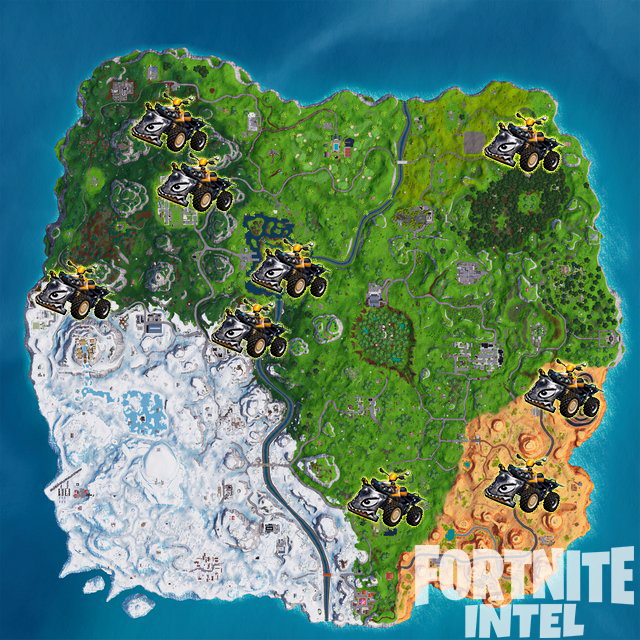 A map showing some of the locations that a Quadcrasher can spawn. This will count as one of your 10 tricks, so you’ll then need to drive to another area and do the same thing again until you have completed the challenge. Once you have finished, you will earn a brand new spray, which features an X-4 Stormwing plane decorated for the festive season. The reward for completing the Day 10 challenge. Don’t worry if you haven’t completed every challenge yet, as players have until the event ends to finish all the challenges!